The concept for this album is a continuation of the Cygnus X-I story from their previous album “A Farewell To Kings”. The albums’ first track is 18 mins long, broken up into six parts of the story. While I never got into the details of Cygnus and how the story unfolds [I admit to being mostly a fan of the music and instrumental arrangements], the parts flowed well into each other as this album became a listening portal to previous Rush albums, as well as cementing my love for future albums. As it turns out, this was essentially the first Rush album I embraced and owned. I bought it on vinyl a few months after it came out and listened to it non-stop for a good year or more, in-between other rock albums that came out in the same timeframe from bands like AC/DC, KISS and The Cars. Perhaps my favorite song off this album is “La Villa Strangiato” which tracks just short of 10 minutes. It’s a building song, meaning it starts off slow and builds to a crescendo of musical brilliance. Next month, Rush will release various versions of the 40th Anniversary of this album. While as important as this album was to this long time Rush fan, I’m going to pass on the Super Deluxe Version. Most likely, I will be getting the double CD set, which will have the live performance of the album from 1979 on the second CD. 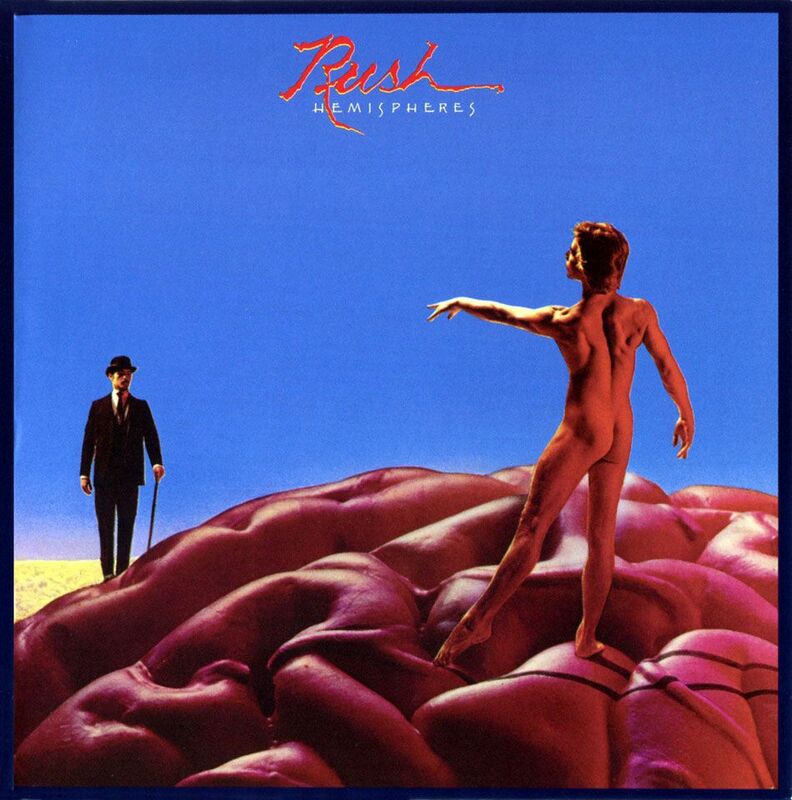 Who of my Rush fans liked “Hemispheres”? Anyone care to share their memories, comment below. I think I might have mentioned how much of a fan I am of Rush’s synth era in the early 80s. Because of that I think I’ve unfairly overlooked at lot of their earlier classic. I must take the time to go back and give the older albums a listen. I do know of your Rush fan status. Recent discussions on Twitter and this comment, I’ve learned it’s the 80’s synth era with Signals, Grace Under Pressure and other albums. I’d be curious to hear your thoughts on listening to the pre-80’s albums.